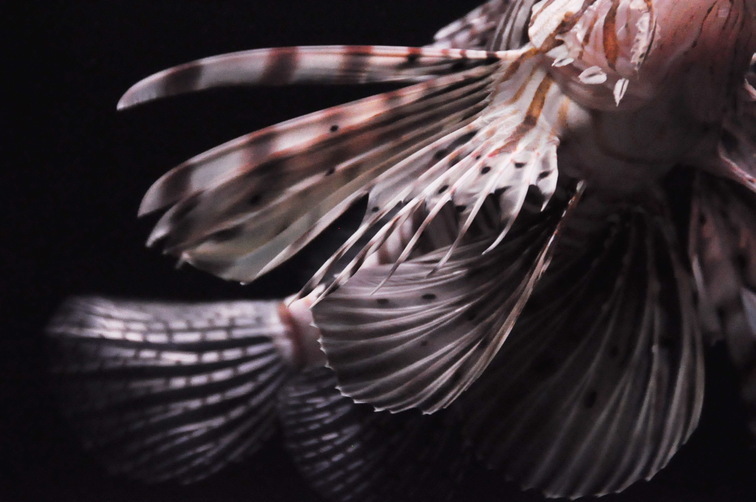 Very good detail from a scorpion fish: http://www.23hq.com/richy/photo/5332384?album_id=5331737. Thanks Richy. I actually remembered your photos when I was at the National Aquarium. I found it difficult to take the picture, because the fish were in a relatively dark tank, so I needed fairly long exposure (1/25). However, I like the lines and swirl in this particular shot, even if it doesn't show the entire fish. Thank you. I'm glad you all like it.